We have seen phenomenal results in terms of real lead generation via Facebook Adverts, no matter the budget, in fact even the low budget Facebook Ad campaigns in terms of traffic and leads outperform Google Ads but why? Of course Google Ads continue to be a go to for online advertising, and are very effective in promoting pages that have yet to achieve an organic ranking such as for a new web site or a new page on a web site. The ability to target gets better all the time, however Google are restricted in the customer data they can allow advertisers access to. They are currently trying to remedy this with the use of their fairly new social network Google Plus, sharing users Google Plus data across with their other products like Google Adwords. While Google create and test this exciting ‘promoted G+ posts’ offering combining their social network display with search engine results, I will reserve judgement on Google vs Facebook, where Google lacks the targeting ability of Facebook this new offering for 2014 might just make it the overall winner shortly. Facebook Adverts of course have the caveat of only being viewable to logged in Facebook users. However the targeting ability with Facebook Advert campaigns cannot be beaten. From age ranges, to location, to marital status, to personal interests, all of the data is there to really target your target market incredibly accurately and effectively, giving a huge percentage in terms of ROI, even for small budgets as I mentioned above. These well targeted adverts, with a concentration on post engagement rather than page likes, show unbeatable results according to our data. From the percentage increase in referral traffic to your web site, to tracking leads via direct messages sent to the Facebook page directly, or sales queries posted either on the page/post directly, it’s easy to track the effectiveness of the campaign. For overall page likes we have seen pages go from 100 likes, to over 3,000 likes in a matter of months, and these are not ‘un-targeted’ people uninterested in the business, these are engaged well targeted people genuinely interested in the product/service. Overall both methods can be used together, but for anyone currently advertising via Google Ads only, I would certainly strongly recommend taking a small amount away from that budget and trying it out on Facebook for at least 6 months to see if it could be effective for your business. 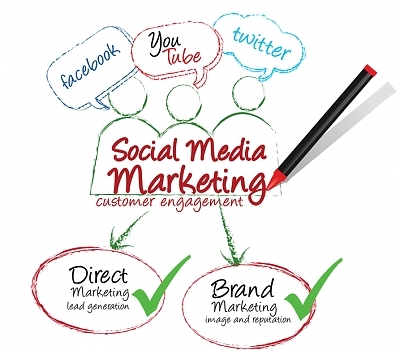 Need help with your online campaign, read about our Online Marketing packages and contact us!